PORTLAND, Ore. – May 10, 2018 – During the month of May, USA Pears is engaging consumers with the How Do You Anjou? Instagram contest. The contest is a way to raise awareness and excitement about the availability of Anjou pears during the spring and early summer. The promotion will emphasize the versatility of the Anjou pear, whether it is being enjoyed in the kitchen or on the go. With one medium-sized pear providing 6 grams of fiber (24% of daily recommended value), as well as being a good source of vitamin C, pears make for a delicious and nutritious heart-healthy snack. Kicking off on May 4 and concluding on June 7, the contest is taking place on Instagram. 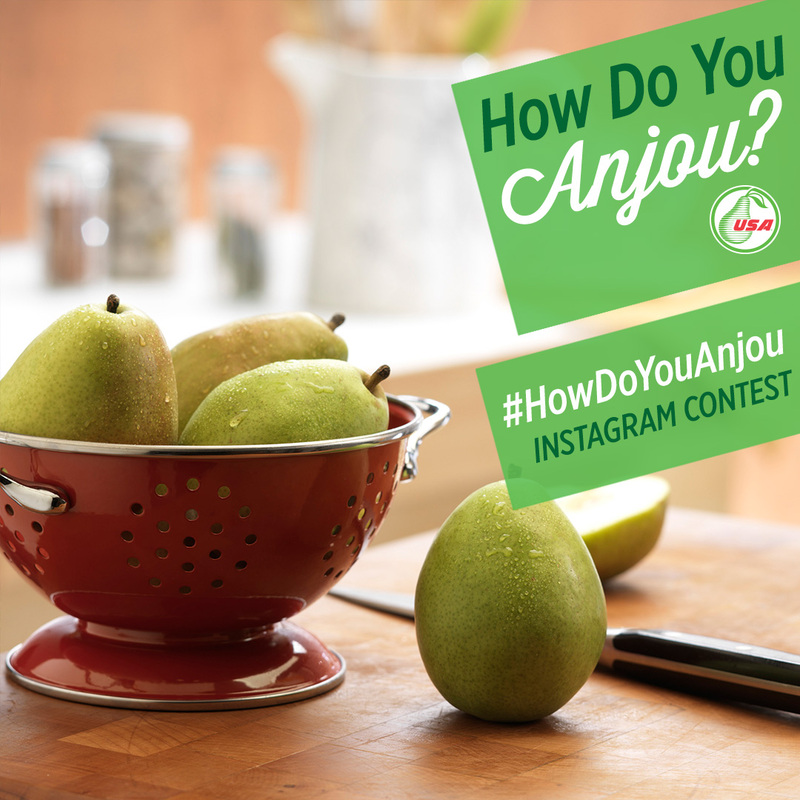 Participants will be entered to win when they take a picture of their pear and share it with the #HowDoYouAnjou hashtag. They will also need to follow and tag @USAPears. Shared pictures will be judged on creativity and presentation. On June 8, USA Pears will select one winner, who will be awarded a box of pears and a USA Pears backpack along with other small prizes. The winning photo will also be shared on the USA Pears social media accounts. 2018 marks the third year USA Pears will be running the How Do You Anjou? contest. It is meant to highlight the Anjou pear as the most ubiquitous pear variety nationwide, and also as the U.S. variety still available in the spring. The contest landing page can be accessed HERE.